Paige started working for us in the summer of 2018. 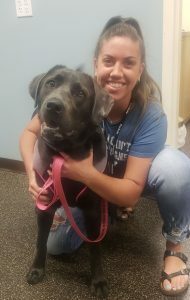 She is a Veterinary Assistant and is earning valuable experience for veterinary school and her favorite part of the job is positively impacting animals’ lives. 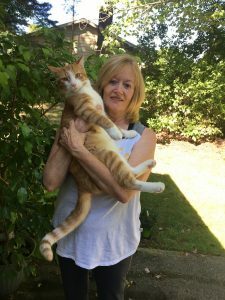 She shares her home with an orange tabby cat-Lily, a calico cat-BB, a grey cat-Miss Pickles and a black and white Chihuahua mix-Pepe, as well as her parents. For fun, she enjoys volunteering at animal shelters and painting. 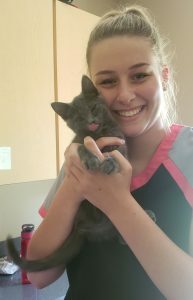 Zayna joined us as a Veterinary Technician May 2018; she graduated from the Vet Tech Institute and has been a Certified Vet Tech since 2015. Her favorite part of being a Vet Tech is cuddling puppies and kittens but most importantly taking care of client’s companions. She shares her home with Ivy-a charcoal lab, Tucker-a beagle mix, Luna-a Persian, Lilly-a Scottish Fold and her parents. Zayna enjoys fishing, kayaking and getaways to the beach. Her favorite place to be is her camp on the Allegheny spending time with family and friends. 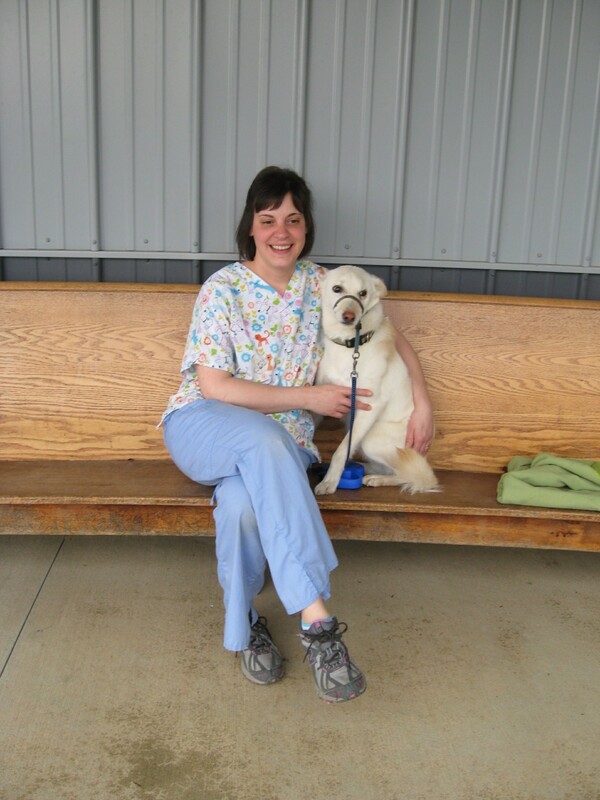 Erica has been a Veterinary Technician at Animal Medical and Surgical since 2006. She has a passion for education clients and is especially interested in puppy training and behavior. Erica shares her home with 2 horses-Major and Sammie JR, 11 chickens, 2 dogs-Rusty and Rudy and 11 cats-Sammy SR, Leo, Ladybug, Mama Clara, Tom-Tom, Dixie-Rue, Mindy Lu, Sierra Jane, Fern Gully, Daisy Duke, Gavin (AKA Possum) and her husband. She enjoys hiking, painting, playing bass, reading and horseback riding. Patty started working with us in 1980. She is a very jovial technician who brings laughter to everyone’s work day. Patty loves getting to know the clients and their pets. She shares her home with a cat-Blondie and 2 poodles-Maggie Mae and Miss Jessie Mae. When Patty is not working, she enjoys crocheting, playing computer games, reading woodworking books and magazines and watching woodworking and do-it-yourself programs. 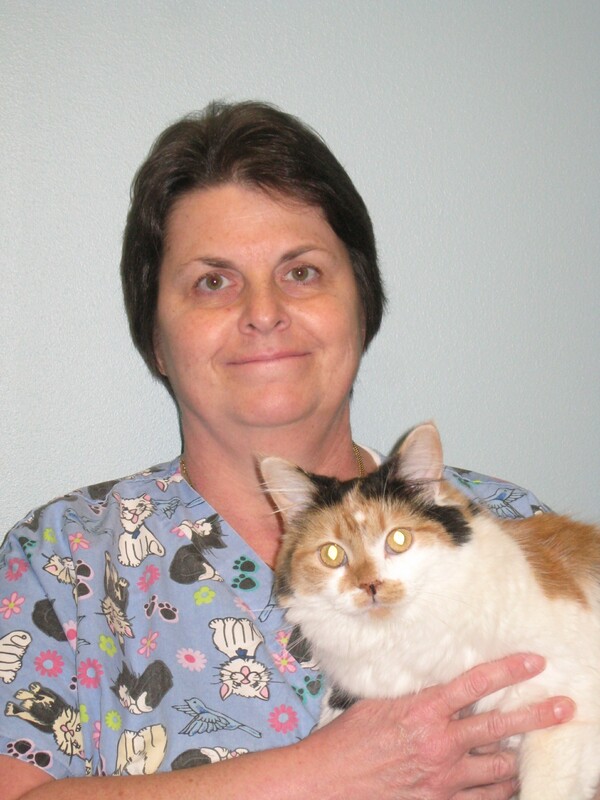 Dama joined our clinic in September 2012 and has been working in the veterinary field since 2003. She loves being part of a great team and interacting with clients. Dama enjoys all aspects of veterinary care, but is especially interested in client education. She shares her home with 2 cats-Kee and Helen, her husband and daughter. Dama enjoys scrapbooking, camping, hiking, reading and spending time with her family. Ruth has been with us since 1977. She is well known in the community and loves interacting with the clients and their pets. Ruth enjoys working with her team to provide the best care possible to our patients. She shares her home with 2 cats-Molly and Juju Smith Schuster. When Ruth is not at work, she enjoys watching the Steelers, relaxing on her porch, taking walks, lawn work and reading. 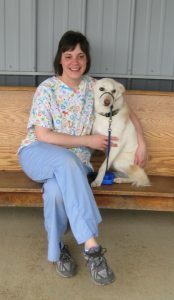 Kim has been working as Animal Medical and Surgical since January 2015 and has been a veterinary technician since 1999. Her favorite parts of her job are educating clients, making a difference for her patients and enjoying the company of her co-workers. She has 2 Shih Tzu’s-Matilda and Bingham and on cat-Norman. Kim is originally from Pennsylvania and moved back to the area from Arizona in 2015 to be closer to her family. She enjoys spending time with her pets, listening to and watching live bands perform and traveling. Dee has been working at Animal Medical and Surgical since September 2016. She loves all aspects of veterinary medicine, especially interacting with all the different animals. She lives at home with 2 dogs-a Border Collie, Tammy and a mixed breed, Cisco, 9 cats-Werther, Jack Rabbit, Jill Rabbit, Master Sergeant Mittens, Toby, Six Pack, Meeka, Neushi, and The Wolverine, 2 horses-Jack and Katie, 12 cows, 6 pigs, 40 chickens , 5 guineas, sometimes piglets and her boyfriend. Dee enjoys baseball, fishing, sitting on her deck and bonfires (no mosquitoes please).